One of our favorite local haunts is the Inn at Rancho Santa Fe (book at Expedia or Hotels.com). Over the years we have enjoyed countless lunches over looking their beautiful lawns and have even hosted a private event in their homey library dining room. We have watched the Inn transform from somewhat frumpy and dumpy to a delightful country retreat. Today, at the last minute we decided to run over for a quick bite to eat and while waiting for our table in their newly remodeled dining room, I checked out some of their other recent improvements. Management had transformed their auxiliary dining room into beautiful, cozy private dining facility and much to my surprise had used my favorite and oft written about 148 faux tin tulip tiles as beautiful accent walls. It gives the room dimension and an old world vibe. 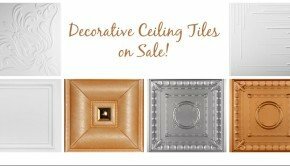 Paint them yourself or talk to Milan over at Decorative Ceiling Tiles about creating a custom finish especially for your project! 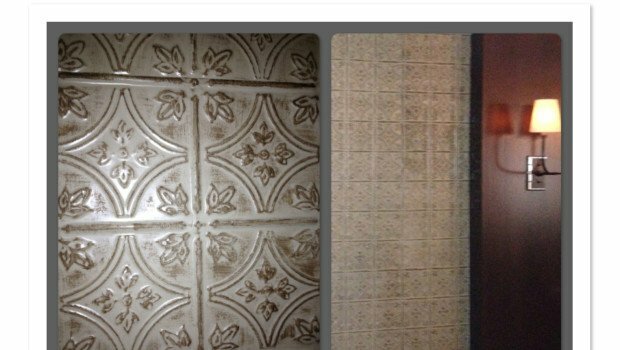 Although they look expensive, faux tin tiles only cost about $5.00/sq ft and they make a huge impact. They are perfect for use in a restaurant because they are not only affordable but are easy to clean, easy to install, have a fire rating “Class A” certificated, and are acoustically desirable because they actually absorb sound. Summary: Are you looking for ways to make a huge impact on your restaurant decor, affordably? 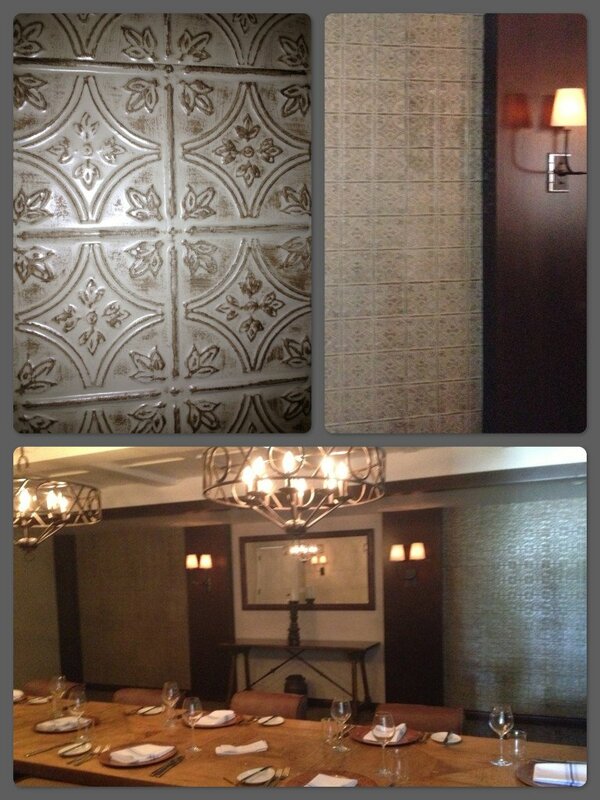 Check out these fabulous faux tin tile decorative accent walls in a private dining room at the Inn at Rancho Santa Fe.